Our results of participating in the National Geographic Genographic Study. Such Fun! Then my mother did it. 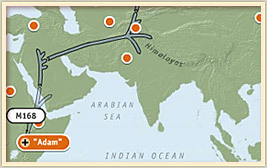 Here’s a look at what my DNA say’s about my ancestors migratory path. This is my direct paternal line’s migratory pattern. 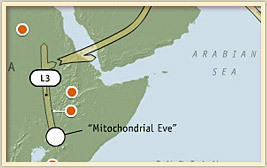 These are my results from participating in the National Geographic’s Genographic Project. For males they are testing yDNA, the direct paternal line. So, to get a complete picture I needed a female member of my bloodline to get their dna tested as well. They are testing mtDNA for women, the direct maternal line.